Journaling is one of those things that I think every human should try because there are SO many benefits! 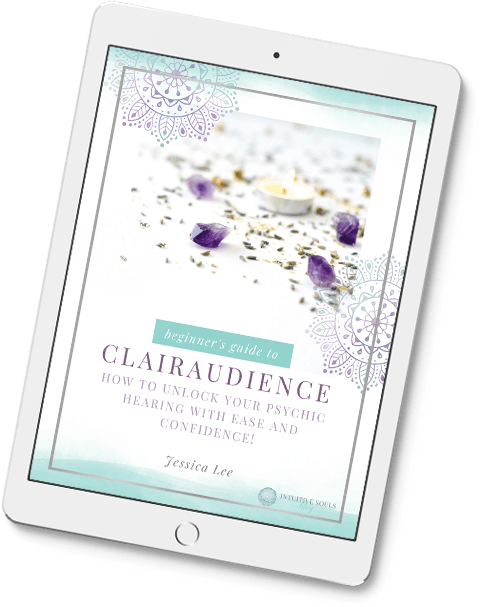 It helps give you clarity, increases your intuition, and de-clutters your mind – just to name a few quick benefits. Plus, it’s fun! I know, duh! It sounds like an obviously important step, but I encourage you to not take it lightly. Take your time picking a journal that you love and will WANT to open every day. Make sure you get something that speaks to YOU. After all, journaling is all about you and should reflect your tastes. And, if want some help getting started with your writing, you can start with a journal with writing prompts, like this one. Of course, make sure you have pens that you LOVE to write with. There is nothing worse than journaling with a crappy pen. I personally use these gel pens and love them. You get 48 in the set, including glitter pens, neon pens and pastels. That way, you can choose a pen that reflects your mood and journal entry. P.S. If you want to use your laptop or computer that’s a-okay! But a word of caution — it’s super easy to get distracted that way. Plus, it’s very therapeutic to actually put pen to paper. If you do decide to use your computer, make sure to make a special folder just for your entries and limit all distractions. For me, I love journaling in the a.m. I go over any dreams I had and write them down. I also focus on having an intentionally great day when I journal in the morning. But I get it – a lot of people aren’t morning people (I’m reminded of that when my husband is cheery and chipper at 6am as I whisper the word, “coffee”). Figure out when you’re at your best and journal then so it’s not a chore. This should be a fun creative outlet for you! Not something to dread. Some days I end up journaling way later because I got caught up with something — give yourself grace in these cases! Not forcing it allows the best stuff to come to the surface. Let me tell you – your environment impacts so much more than you think. I journal in my bedroom, which is an ultra-serene, relaxing space where my salt lamp and essential oils are diffused! And don’t worry. You don’t need to have a whole fancy room to journal. Just pick a cozy little corner (and don’t underestimate some soft fluffy pillows and a blanket!). It’s also really nice to have a cup of herbal tea or coffee with you while you journal! Pro tip: You can journal outside if you want to! I’ve journaled at the beach many times. Sometimes, people feel stuck when they start journaling. To that I say, please, for the love of all things green, don’t force it. As a society, we’re not used to letting our words come out unfiltered. But here, in this space and in this activity, that’s what we NEED to do. Allowing yourself to get into the flow of it is how your mind will be cleansed and removed from your “mental closet”. So let whatever wants to come out, come out. Don’t censor or stop it. Pro tip: Keep some tissues handy. On the flip side, if you don’t have much to say, don’t force it! Somedays you’ll have revelations and other days you just won’t — and that’s ok! If you just can’t relax enough to let it flow, I cannot encourage you enough to get yourself a journal with writing prompts. Don’t give up just because the page in front of you is blank. Pro tip: If you journal at the end of the day, it can be super helpful to meditate for 10 minutes before starting. UGH this one is so hard for me. I’m the kid that rewrote their homework three times because I didn’t like my handwriting or you could see eraser smudges. But this is not the time to judge yourself. If your journal is filled with spelling mistakes that would make your elementary school teacher cry, that’s perfectly okay! Also allowed: Sloppy handwriting, doodles, and whatever pop into your mind! Focus more on what’s coming out and let the little things go. Remember, this is a space for you and only you. BTW, if you’re curious about WHY you should journal and its benefits, check out this post.